It was stolen. There, I've said it. And if that's not tragic enough, then take this: the brain was then cut into 240 pieces by the thief. And if that's still not tragic enough, consider this: after years of investigation, it turns out that (maybe, just maybe) Einstein's brain wasn't even special after all. Allow me to finish this. Einstein sorta knew what was coming after his death (why not? He's the smartest man to ever walk the Earth, of course he knew about the public's obsession with his remains). And so he "left behind specific instructions regarding his remains: cremate them, and scatter the ashes secretly in order to discourage idolaters"
But Dr Harvey, the pathologist who did the autopsy on his remains, stole it anyway. Then fast forward the story to 1985, 30 years after Einstein's death, Harvey published the first study on Einstein's brain. It was then followed by several other studies, the latest one was published last month by a group of Chinese researchers. But then there's a catch: according to Terence Hines from Pace University, all six studies are flawed. 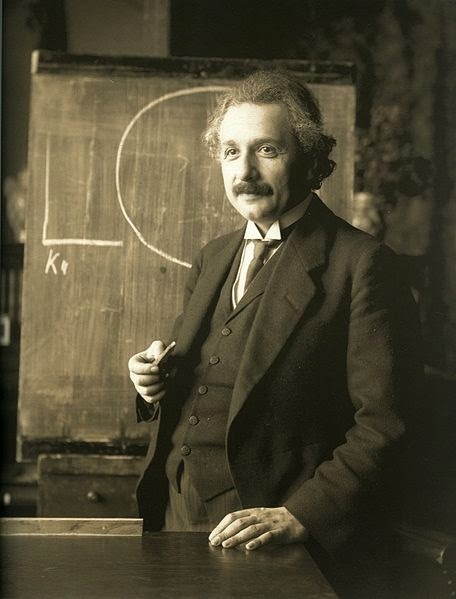 He argues that while Harvey claimed in his first study that Einstein's neuron-to-glia ratio was significantly smaller than it was in the same area in 11 control brains, the control group was not well controlled: the brains came from people aged 47 to 80 years old, whereas Einstein died at age 76. 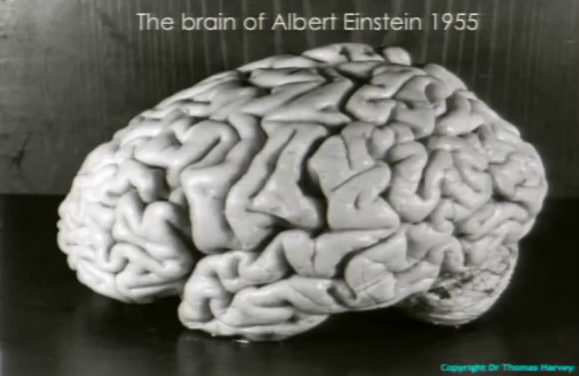 Moreover, Einstein's brain had been stored inappropriately (Harvey put them in beer coolers) for 30 years. Harvey published another paper in 1996 which claimed that the tissue in Einstein's brain was thinner than controls--meaning the cells can communicate with each other over a shorter distance, thereby increasing the processing speed. Professor Hines argues that the finding was based on just one square millimeter of Einstein's brain, and the authors ignored the similarities between Einstein's brain and the controls. I've written about how Einstein's brain was stolen and I have to admit I thought the studies were logical because, well, that's Albert Einstein's brain for god's sake. But Hines' arguments show that there are always two sides to every study. And right now I'm not even sure whether Einstein's brain was indeed special or not. The world is becoming a more competitive place. Desperate parents (especially those living under the one-child policy i.e. China) worldwide spend billions of dollar each year to purchase glial-increasing-supplement in an attempt to make their children a little bit more like Einstein. Assuming Hines is right about the studies, these supplement, which could allegedly increase the number of glial cells and, according to results published by Dr Harvey, therefore boost mental power, would be relegated to mere placebos overnight. Healthcare companies could go bankrupt and people could lose jobs and that's going to inflict a huge damage on the society. I'm sure Einstein saw this coming. And he was right to have not given permission for his body part to be studied. And regardless of the progress made due to Dr Harvey's paper (assuming Hines is wrong), stealing someone's body part without consent is without doubt one of the most heinous acts of crime you can commit (on top of that, he didn't even store it properly! ).